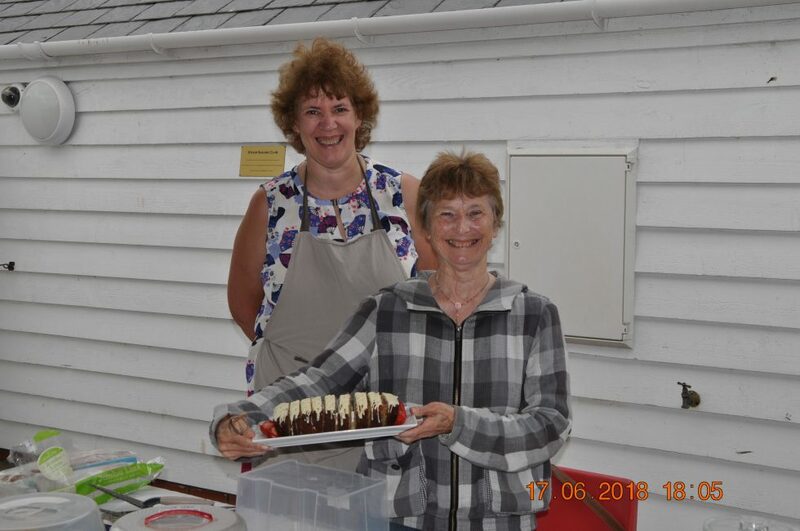 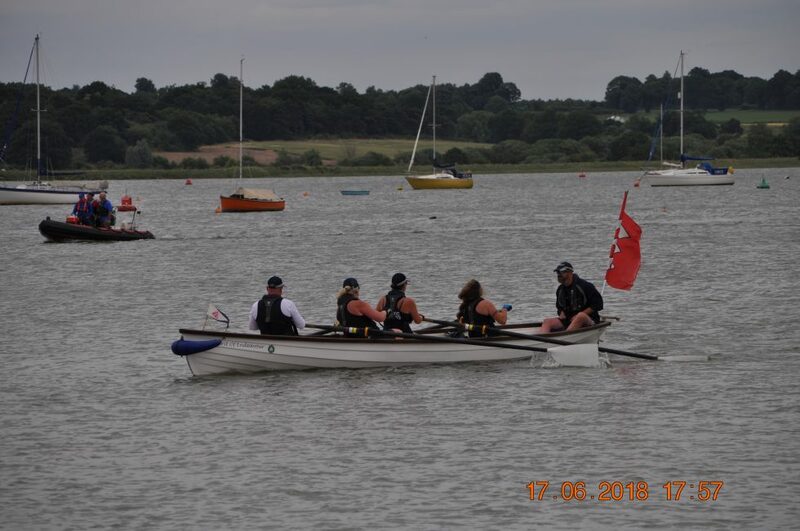 The Manningtree Rowing Festival took place on Saturday 16 and Sunday 17 June 2018. On Saturday we will be held an extremely busy ‘have a go’ and took thirty new rowers out in either Club Gig William Rose or Claydon Skiffs Lt Washington and Witchoar. 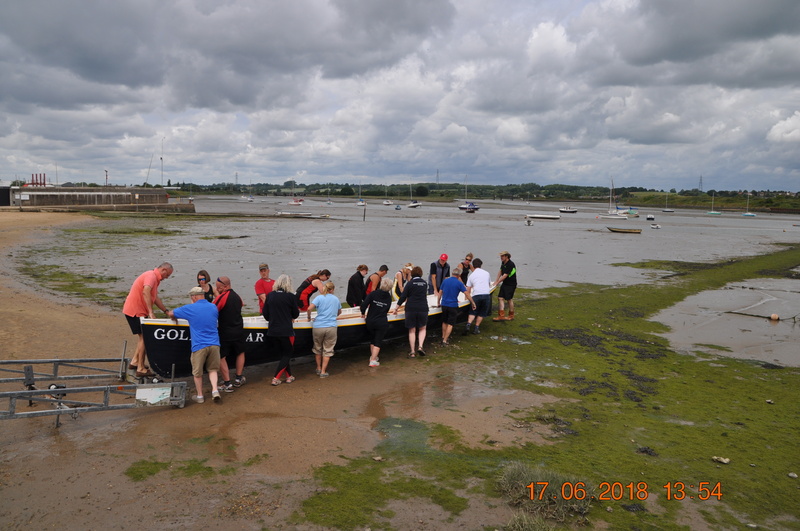 Then on Sunday 17 June – we hosted Clubs and Crews for a race from Manningtree to Wrabness and back – around 7 miles in total in challenging conditions with a tail wind down the river and a head wind back. 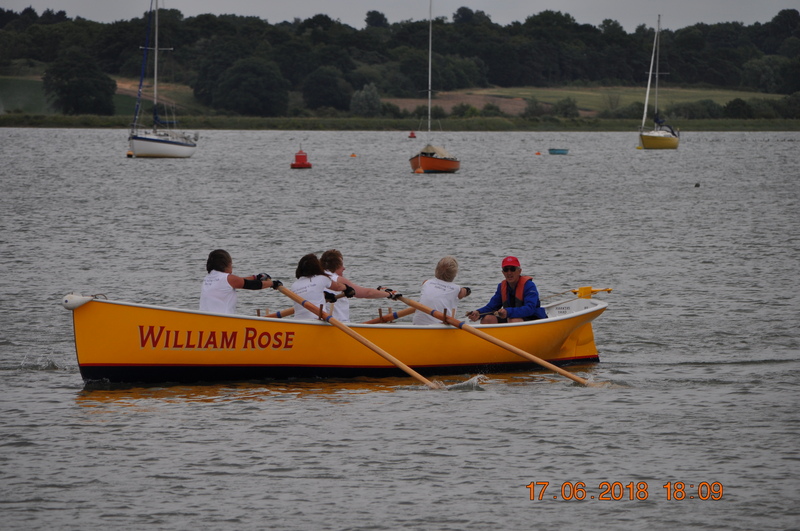 The race is handicapped using the Great River Race Handicaps to take account of the different type of boats and also the types of crews so that the first boat across the finish line is not necessarily the winner. 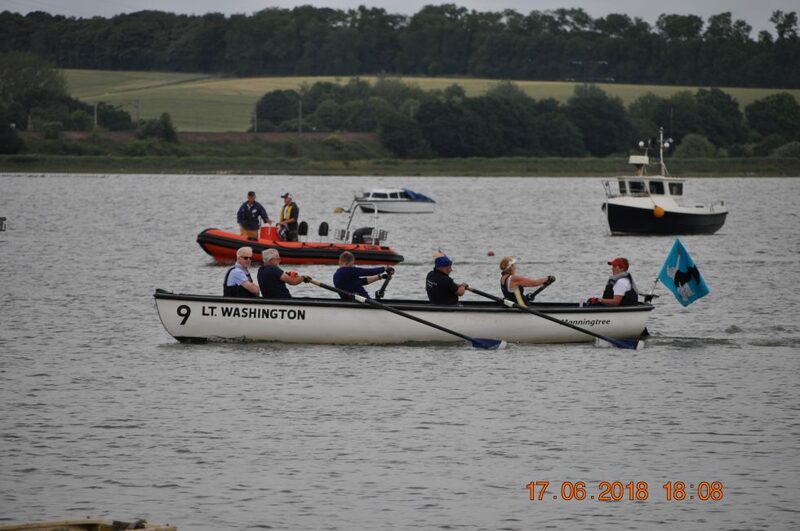 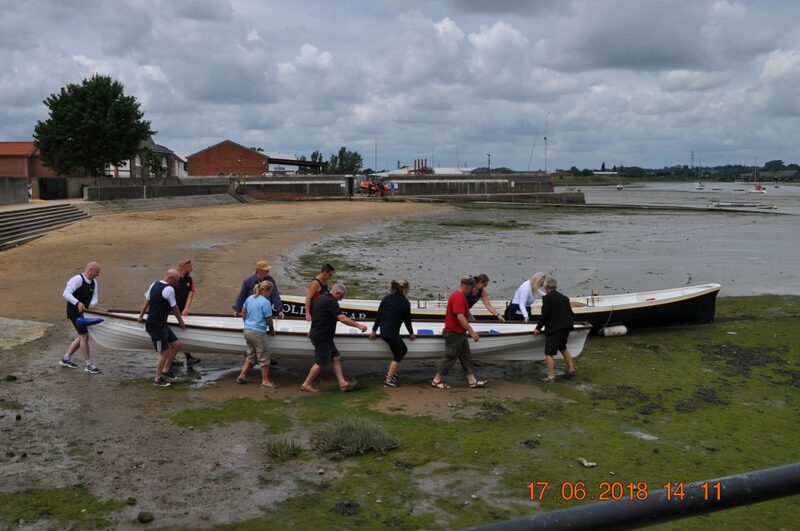 This year however, the first boat across the line was Harker’s Yard Gig Vanduara from Brightlingsea Coastal Rowing Club with the men’s veteran crew. 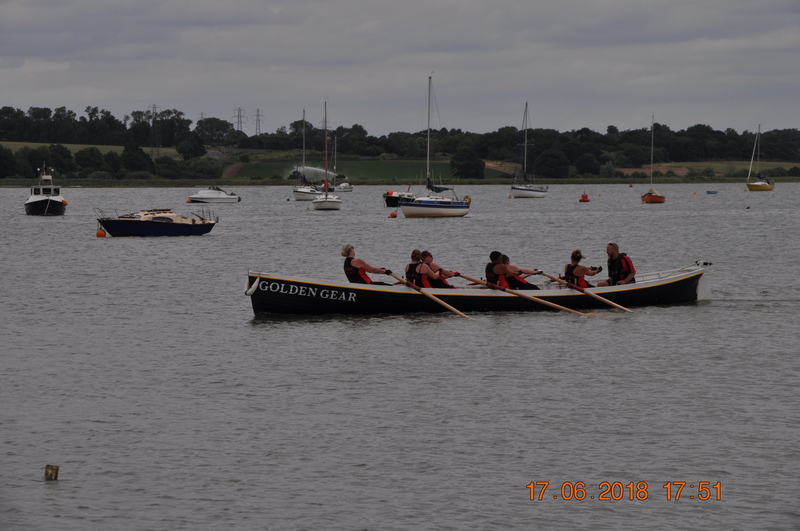 They finished the race in one hour fourteen minutes and six seconds ahead of the second placed boat Golden Gear from Rowhedge Coastal Rowing Club with a women’s veteran crew who finished in one hour nineteen minutes and nineteen seconds. 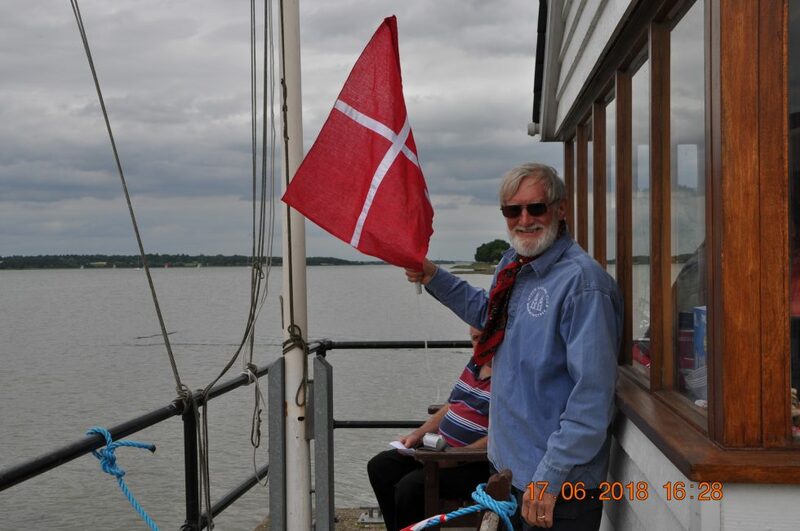 Third across the line was Harker’s Yard Gig Violette from University Community Sailing Club Brightlingsea in one hour twenty two minutes and two seconds. 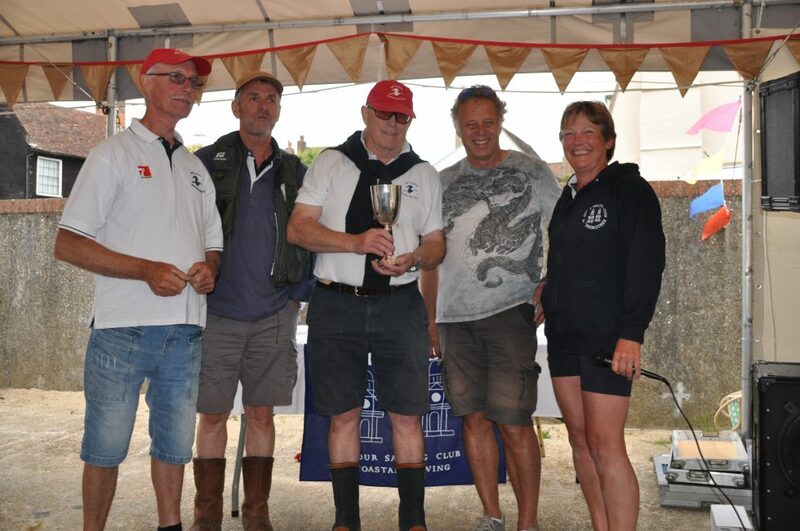 Vanduara’s winning margin was enough to ensure that they claimed first place in four categories: fastest across the line, fastest on boat handicap, fastest on overall handicap and fastest Harker’s Yard Gig. 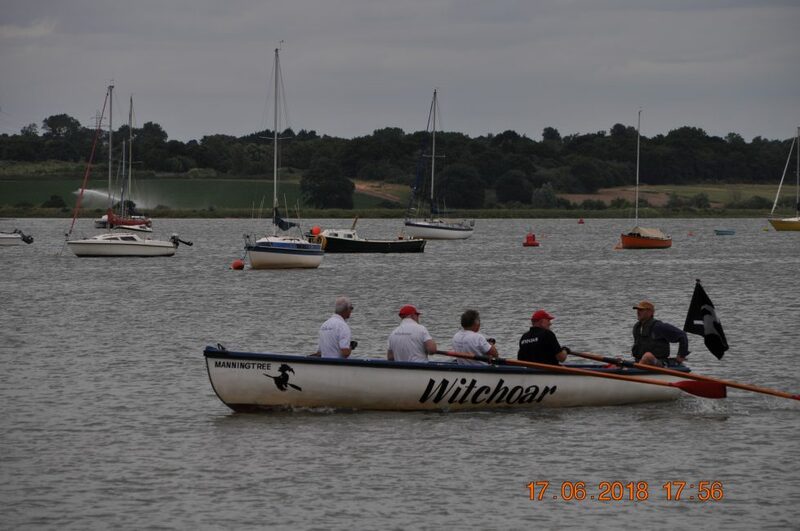 Our Club crews put in a really good performance and Witchoar with a men’s supervets crews was fifth across the line, third on boat handicap and third on overall handicap. 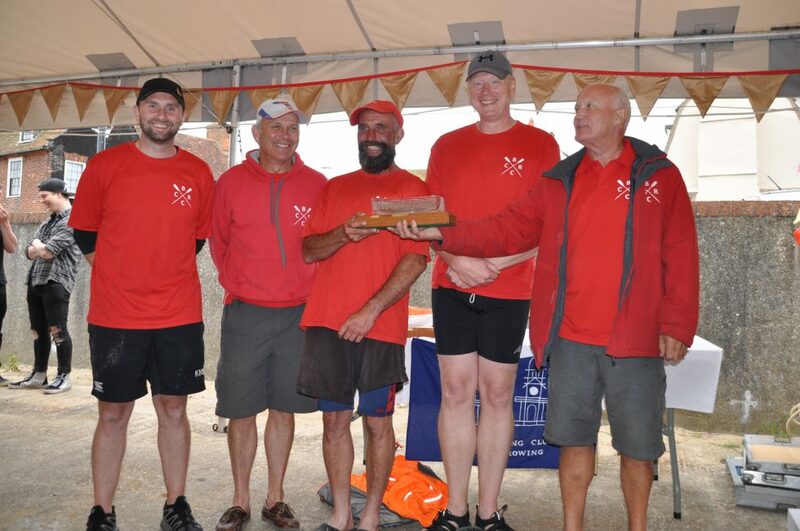 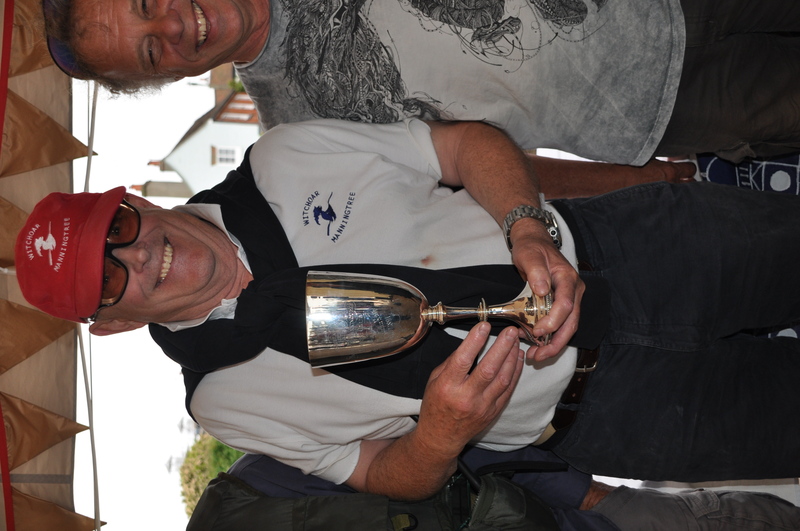 The Witchoar crew also claimed the ‘Mistley & Manningtree Boating Club 1892’ trophy for the first ‘home’ boat across the line.